Who doesn’t love a good laugh? Seriously, if you don’t love a good laugh you should run to your doctor for a quick check up. Or, just run down to the theater on Jan. 9! We’re trying to do our part to prevent any artists from starving, but we need your help. 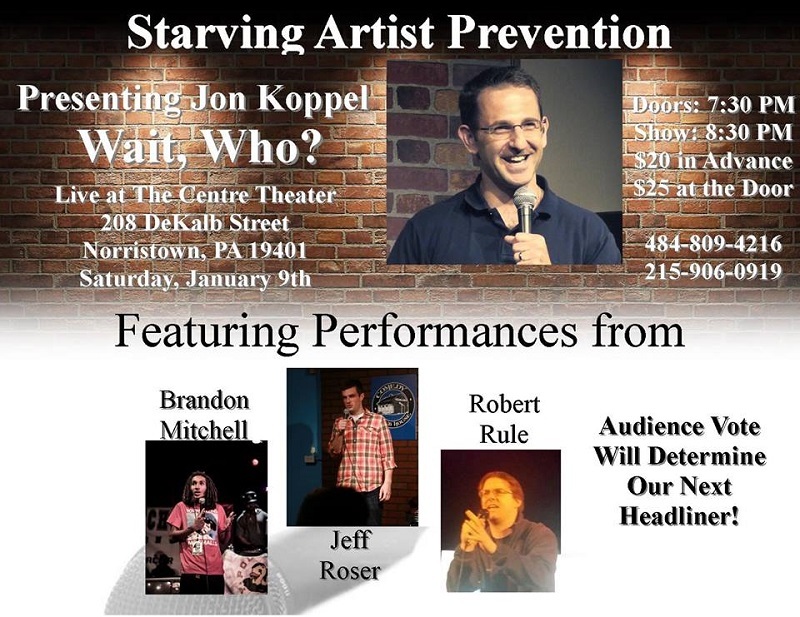 Support the Starving Artist Prevention group and they’ll do their part as well. For tickets, go to Brown Paper Tickets and buy, like, a hundred of them! Winter Concert a huge hit!